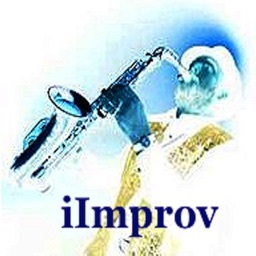 iImprov-Contemporary Colors is part of the continuously growing iImprov series from Jazz Apps Mobile. 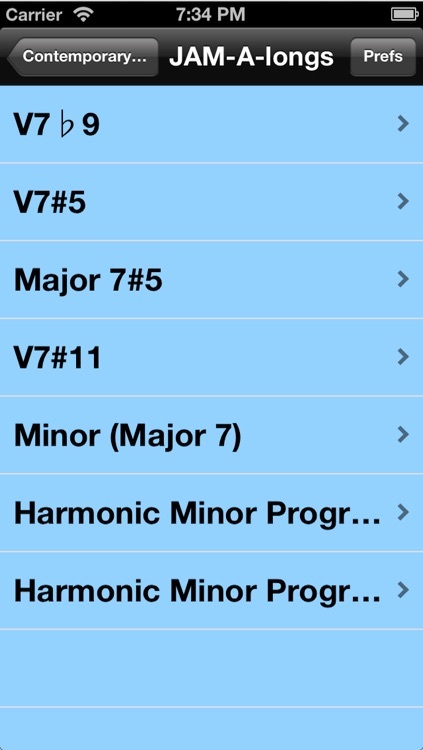 Each app in the series has been created to take on specific challenges that you will find as an improvising musician. 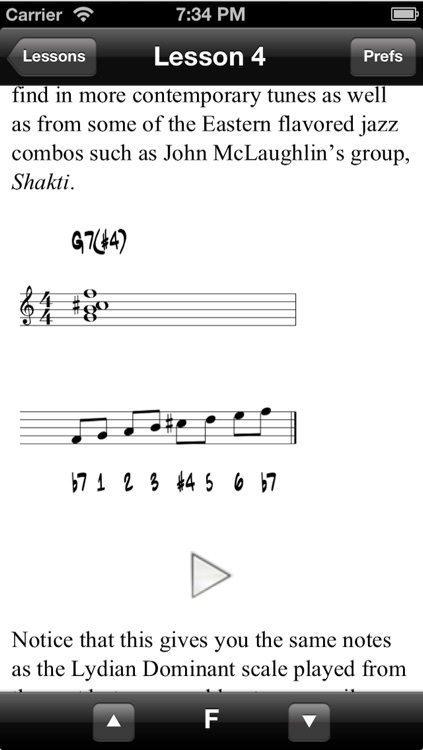 This particular installment focuses on the handling of chord changes that you will find mostly in the jazz repertoire that begins post bebop up to the present. More specifically, iImprov-Contemporary Colors gives you the tools to take on chord progressions that you would find in tunes by Wayne Shorter, Chick Corea, Herbie Hancock and any other composer that has ventured away from the writing of chord changes that would be typically found in the “Standards.” These types of chord progressions would include highly ‘altered’ chords, ‘slash’ chords and chords created from scale colors outside of diatonic major. 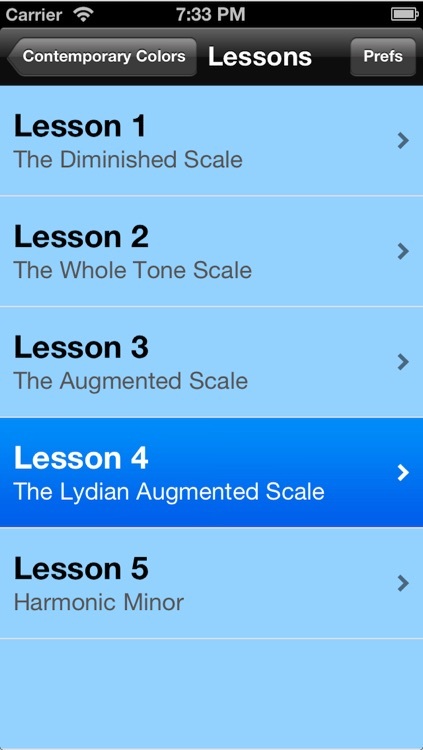 The lessons in iImprov-Contemporary Colors app cover in detail how to use diminished, whole tone, augmented, lydian augmented and harmonic minor scales to play over these these types of progressions. 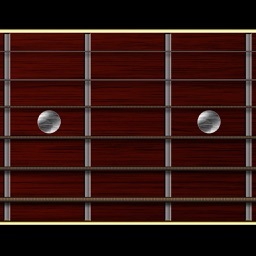 In addition to explanation, there are exercises, patterns, demos and JAM-A-longs to work with. 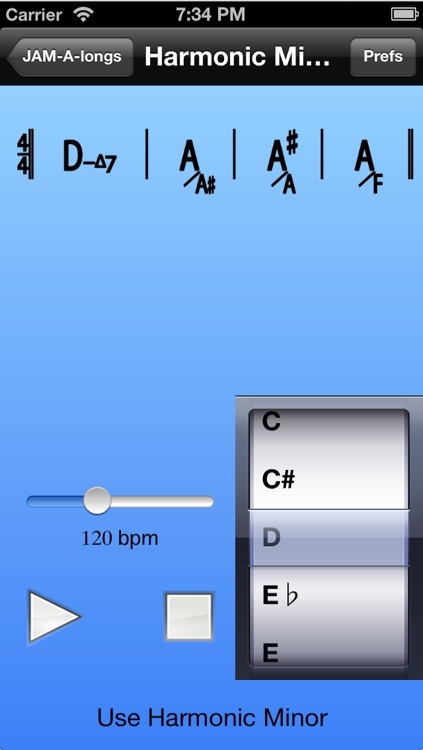 As with other apps from Jazz Apps Mobile, there is transposable notation and tempo adjustable audio. Many of the concepts are also demoed by saxophonist Tony Bray at the end of each lesson. You can also set the overall transposition for your specific instrument and there is balance control for the JAM-A-longs.